My mother used to make these for me when I came home from school for lunch. They are nostalgic comfort food. Fortunately for me, my family enjoys them too. Toast one side of the bread under the broiler. 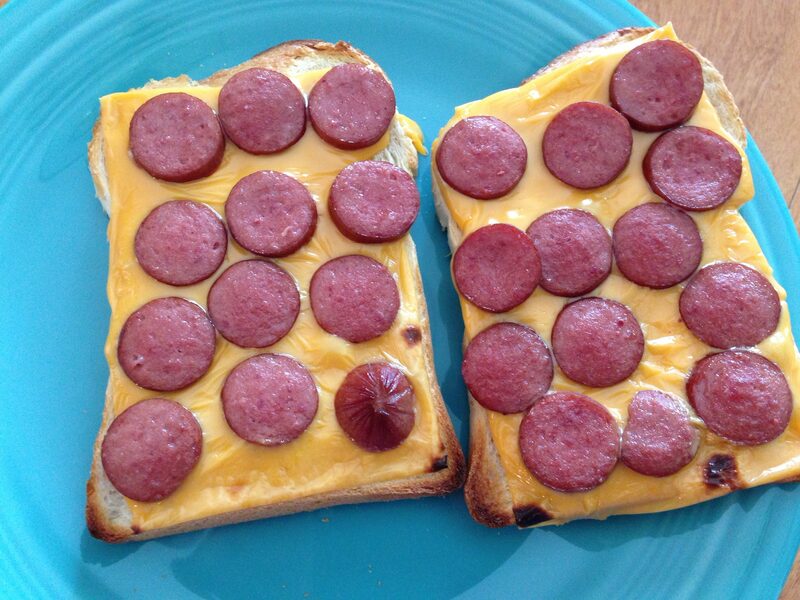 Flip bread, add cheese slice and sliced hot dog. Broil until bubbly. Enjoy! !